Destination India 2014 will be screening exciting startups from all over India and presenting upto 10 selected startups to the best early stage investors in India at Vivanta by Taj, Mumbai on March 28th. “Smart Money and Genius Ideas” event on 28th March 2014 will showcase select early stage and growth stage venture opportunities to VCs, angel investors and HNWIs. This is an opportunity for promising Indian entrepreneurs to showcase their genius ideas and pitch their brilliant teams to investors. The forum will be attended by a select group of angel investors and venture capitalists for investment ready companies to obtain funding and valuable feedback from serious investors. The event will offer a full day for entrepreneurs to get to know high quality investors in an exclusive and private setting. In six sought after sectors of Technology, Digital, Education, Healthcare, Consumer, Mobile, Energy & Finance. Seeking investment of Rs50 lakhs upto Rs6cr. We invite you to participate in this unique capital raising initiative and take off with your ideas. We will provide the contacts, mentoring and advice. If you think you have got what it takes to make the cut, please send us a business plan by 20th February 2014 to be considered for an invitation to participate. Email your business plans to destinationindia@geniusincubator.com. Interested startups should apply by emailing your pitch / executive summary to destinationindia@geniusincubator.com by February 20th. Selected startups will be notified by Feb 25th. If you want to pitch to investors at the event, please email your pitch to destinationindia@geniusincubator.com asap and no later than by end of Fabruary 2014 and wait for a confirmation. Conï¬rmed investor participants include Sherpalo Ventures, Nexus Partners, IDG Ventures, Inventus Capital, Kae Capital, Angel investor members of Club Ah! and many more to be conï¬rmed.. The Smart Money & Genius Ideas showcase will present pre-screened investment opportunities to angel investors, VCs and HNWIs in an exclusive private setting. These companies are together seeking to raise seed / early stage capital. If you are looking to meet some of the most exciting and promising early stage entrepreneurs in India, and to familiarise yourself with the investing environment in India, this is the perfect platform for you to directly interact face to face with creme-de-la-creme entrepreneurs and investors! Participation of pitching startups strictly by invitation only. Once selected, startups will need to sign a commission agreement with Genius Incubator Ltd to pay a success fees upon successful funding. All introductions made at the conference and thereafter leading to successful funding, will warrant the success fees. All others - investors, advisors and curious onlookers can register here to attend the event by paying Rs5000 per person. Includes an All day pass to the event and lunch Buffett at Taj Vivanta, Colaba, Mumbai. 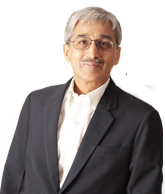 For ten years from 1988 to 1999, Samir was part of the early team at Wipro (NYSE: WIT), one of India’s largest and most highly valued IT companies. 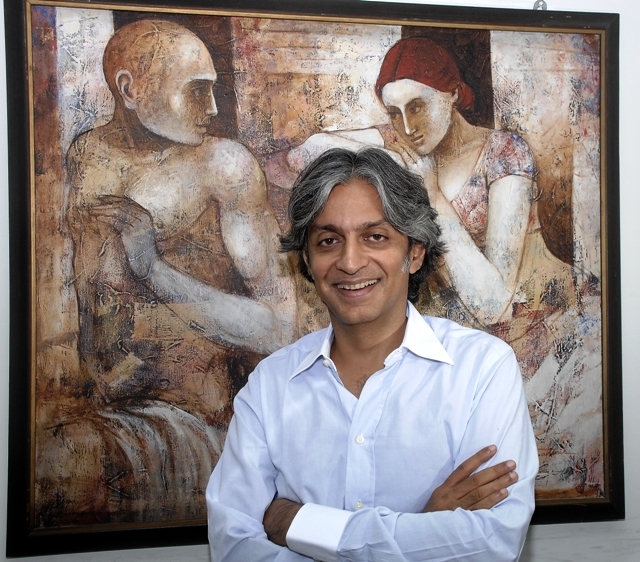 Samir was a founding member of Wipro’s joint venture with Acer Computer in Taiwan to design, build and sell computers for the Indian market. Samir became a venture capitalist in India when he joined Acer Technology Ventures in 2001- a $260 million institutional venture fund investing in technology and services companies in India, the U.S. and the Asia Pacific region. 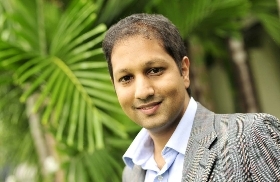 Samir led the firm’s early-stage India venture practice in Bangalore, financing a number of Indian and U.S.-India companies. Samir was active on the Boards of the ATV India portfolio companies, resulting in several profitable exits to date including RelQ and Indecomm Global Services. At Inventus, Samir is a Board Director at Cbazaar, Telibrahma, InstaHealth, Sokrati & Savaari. Samir holds a BSEE from the Indian Institute of Technology (IIT), Bombay and an MBA from Indian Institute of Management (IIM), Bangalore. Prior to founding Kae Capital, Sasha was the Managing Director for Blue Run Ventures and is a co-founder of Mumbai Angels. Sasha belongs to the family of entrepreneurs that built the Onida brand, ground up. His family started MIRC Electronics and created the Onida brand - one of the most aspirational TV brands of the 1980s. Sasha also started his training as an entrepreneur at MIRC Electronics and worked there till 2002 where he was the Head of Corporate Affairs and new business. Prior to that he was CEO and Founder of Imercius Technologies, a BPO focused on Healthcare. Sasha sits on the Board of Hathway Cable and Datacom Limited, Akasaka Electronics Limited, Fractal Analytics, Algorhythm Tech, Gulita Securities and Mumbai Angels Venture Mentors. He is also a past President of EO Mumbai. He holds a BBA from Strayer University and MMDP from IIM-A. Sandeep is focused on investment opportunities for Sherpalo in India. He also evaluates and manages investments in India for Kleiner Perkins Caufield and Byers (KPCB). Sandeep is the Chairman of Cleartrip Travel Services Pvt. Ltd., and serves on the Boards of Cleartrip, PayMate, MapMyIndia, FutureBazaar, ZoomIn, StudyPlaces Kotak Urja, inMobi and GreenDust. He was previously on the Board of Info Edge India Pvt. Ltd. (the company that runs the websites Naukri.com, Jeevansathi, and 99Acres) and StudyPlaces. Before moving to India in 2005, Sandeep worked in the Internet space in the US most recently working at IAC/InterActive Corp, the owners of companies such as Expedia, Match.com, CitySearch, Gifts.com and other online businesses. Prior to joining IAC, Sandeep worked at Sony Music in the new technology group where he focused on launching a digital music service for Sony Music. Sandeep began his career in investment banking at Credit Suisse First Boston in their Technology Group in Palo Alto, California. Sandeep holds an MBA from the Wharton School as well as a Bachelor of Science degree in Systems Engineering from the University of Pennsylvania and a Bachelor of Economics degree from the Wharton School. Srinivas Baratam has more than 12 years of Indian PE & VC experience and has seen full investment cycles including fund raising & portfolio company management. Baratam worked with Lazarad between January 2008 and January 2010 as head of private equity for India. When Lazard India winded up the PE operations, Baratam shifted to corporate finance division as MD. Baratam worked for 18 months with Lazard corporate finance before joining with Milestone in 2011. Baratam was with UTI Ventures for 4 years during 2004-2008 period. Srinivas has been involved in various capacities with several deals & funds, across a broad range of sectors including financial services, telecom, healthcare, IT, media, petrochemicals, construction etc. His earlier experiences include significant stints at Lazard India as Managing Director, UTI Ventures & IL&FS Investment Managers. He has an MBA from Xavier Institute of Management, Bhubaneswar and B.E. Electronics from National Institute of Technology, Bhopal. Selected startups will pay Rs10000 per startup team to pitch at the full day event from 9:00am to 5:00pm. Each company can bring 2 team members forRs10000. Includes a pitching slot on stage for 10 mins to the VCs. Please note - a success fees of 5% applies for any funding raised through our introductions at Destination India. We cannot guarantee availability of tickets for non-pitching attendees. We reserve the right to cancel tickets and refund payment to anyone at our discretion. What are you waiting for? If you have an exciting idea, a team and the confidence to make your dreams come true, we can give you the real you can only dream of..
One of our previous startups has raised a few million dollars from the VCs we had introduced at Destination India November 2010. They had nothing but an idea at that stage, and did not know a single VC when they pitched at destination India.